Kelly Kidwell is the CEO of Pacific Advisors, a West Coast-based financial services firm that specializes in advanced estate, business, charitable and philanthropic planning. Kelly started his career in financial services in 1987. In 1993, he founded Pacific Advisors and has grown the firm from a small Southern California boutique to a Guardian Master Agency Award and Diamond International Management Award Agency. 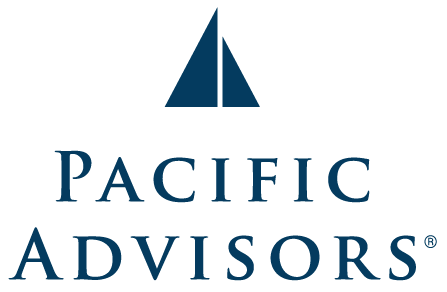 Today, Pacific Advisors has more than 200 staff and advisors as well as 3,000 active brokers. For the last four years, Kelly has been named a Top-of-the-Table producer by the Million Dollar Round Table Foundation, the industry’s most prestigious award. His professional memberships and achievements include being Chair of the Charitable Planning Committee for the Association for Advanced Life Underwriting (AALU) and Leader of the Volunteer Planned Giving national program for the March of Dimes from 2001 to 2008. 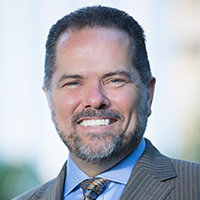 He is also a member of the National Association of Insurance and Financial Advisors (NAIFA) and a member of the Los Angeles Estate Planning Council. Kelly is a Certified Financial Planner™, known as a CFP®. His other professional designations include Chartered Life Underwriter®, Life Underwriting Training Council Fellow, Certified Specialist in Planned Giving, and Chartered Financial Consultant®. Looking to share his knowledge with others, Kelly is a frequent lecturer of continuing education courses for financial planners, CPAs and attorneys nationwide. Showing a sincere interest in serving a variety of charities nationwide, Kelly is the leader of the National planned giving team for the March of Dimes, as well as the founder of both Philanthropy International and C3 Media. Philanthropy International is a 501(c)3, public charity created to educate, assist and develop planned giving programs for charities and community foundations that do not already have effective programs in place. C3 Media is dedicated to the development of marketing materials in regards to planned giving techniques and programs. A resident of Claremont, California, Kelly and his wife, Cristy, enjoy sailing and tandem bicycle riding with their four children, two of whom are in college. Kelly is also a private pilot who enjoys taking his family on a variety of weekend adventures. CA Insurance License #0A38922, Registered Representative and Financial Advisor of Park Avenue Securities LLC. General Agent of The Guardian Life Insurance Company of America, New York, NY.